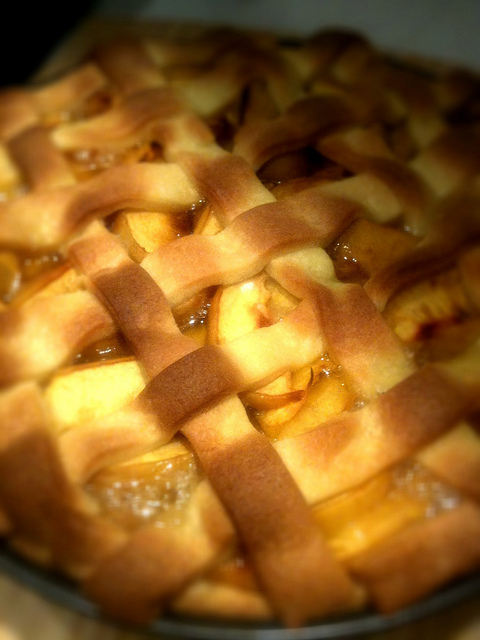 Peach pie; photo by Su Yin Khoo on Flickr (noncommercial use permitted with attribution / share alike). From Delaware.gov: "Peach farming is an important part of Delaware's agricultural heritage, as the peach was introduced to Delaware in Colonial times and expanded as an industry in the nineteenth century. Delaware was the country's leading producer of peaches for part of the nineteenth century, at its peak, shipping 6 million baskets to market in 1875. The fifth and sixth grade students of St. John's Lutheran School in Dover, with the support of the entire student body, suggested that peach pie be adopted as this State's official dessert because of the historical and agricultural significance of Delaware's peach farming industry." 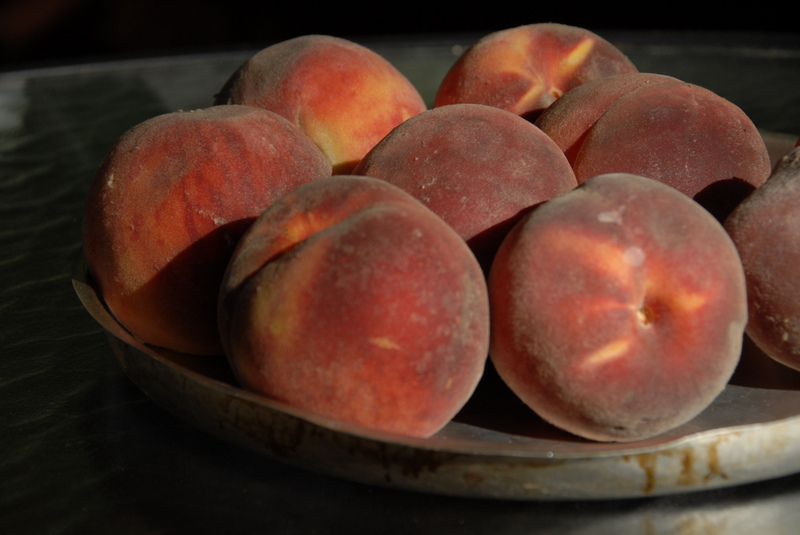 Ripe peaches; perfect for peach pie - the state desert of Delaware! Photo by Kim Manley Ort/Flickr (noncommercial use permitted with attribution/no derivative works). 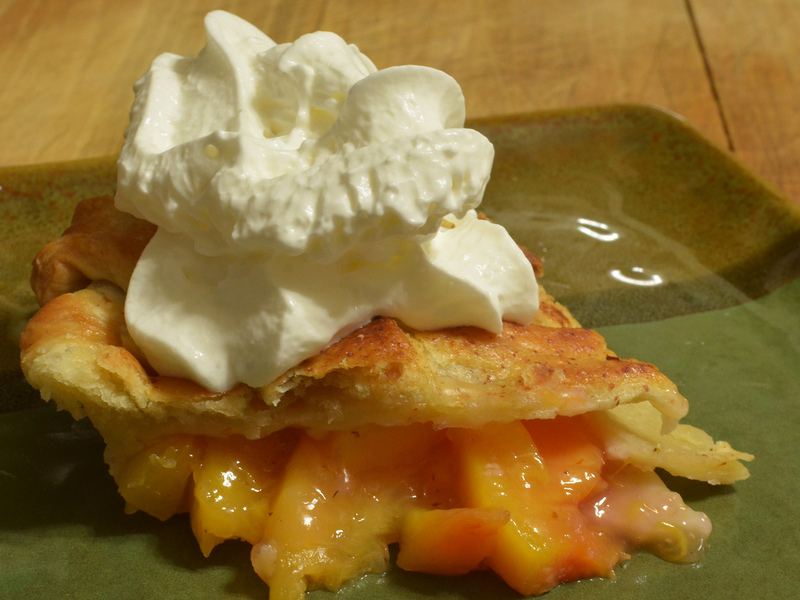 Slice of peach pie with whipped cream; mm mmmm... peach pie is the official desert of Delaware. Photo by jeffreyw/Flickr (use permitted with attribution).